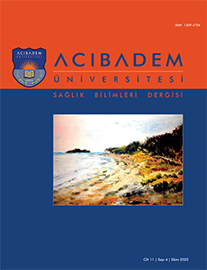 2Kırıkkale Üniversitesi Sağlık Bilimleri Fakültesi, Sağlık Yönetimi Bölümü, Kırıkkale, Türkiye Objective: The aim of this research is to determine the midwives" need for delivery room units in public hospitals based on their workload. Study Design: Seven hospitals with integral delivery suites in the Kocaeli district were reviewed for this survey. The total number of midwives working in the delivery suites at these hospitals is 72. The survey was sent to all 72 people, of which 42 (58%) replied. The number of midwives required for 2017 was computed using data on services provided at the hospitals in 2016. The "Workload Indicators of Staffing Need (WISN) Automated Tool 2010" application created by the WHO was employed to analyse the data. Results: By investigating the distribution of midwives in delivery rooms across the province, it was found that the workload ratio of the midwives working in the various delivery rooms were delivery room A = 0.60; B = 0.66; C = 2.17; D = 1.13; E = 2.21; F = 2.05; and G = 1.77.